Paper Robot Piz-O is READY for sale! At the end of 2015, Out of pure curiosity, I started making papercraft figures inspired on my work as a pixel artist for various videogames. I knew next to nothing about papercraft but I knew how to fold paper in the shape of a box and how to glue one box to another. These boxy shapes seemed like a perfect fit for something I have always loved making: Robots. They looked nice but there was just one problem: I hated making papercraft. All that cutting. All that glueing. Although designing and seeing the end result was great everything was just too much work. Especially if you have only one hand like me. Being fascinated with toys and toy stores the idea was to one day put these little robots in stores for people to buy. These robots needed to be simple to assemble and so I started researching and prototyping techniques for a papercraft set that would not require any glue or scissor to assemble. It was funny of me to think that would be simple. 12 months later it’s finally here: Papercraft Pizza Robot Piz-O. Piz-O is the first figure in the Munchybot line. Easy to build paper robots that fit on your desk. No glue or scissors needed. More robots will come in the future. You can be on the lookout for more paper figures. Some of them tied to games. If you have a game that needs papercraft toys; I’ll be here. But that is the future. 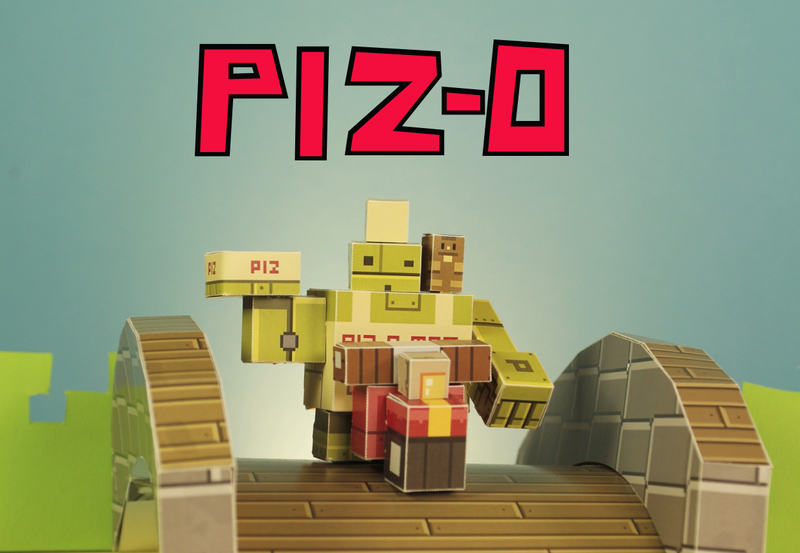 Piz-O is available now.